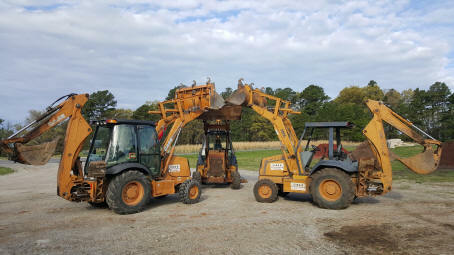 Bulldozer's, Backhoe's and Dump Trucks. 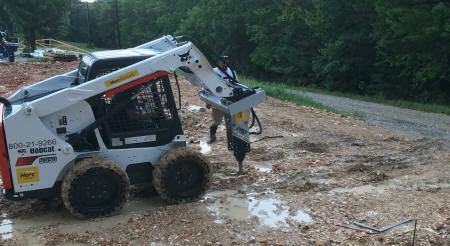 We got the men and equipment to tackle any size job site. Economics is the name of the game when it comes to building a compacted red dirt construction pad 8' tall. The Site Visit will include Scott Yarbrough staking out the footprint of the building and shooting grade to determine how level or unleveled your land is. Some customer's have a perfectly flat job site and don't need any site work. Some customer's job site is a hillside covered in trees. 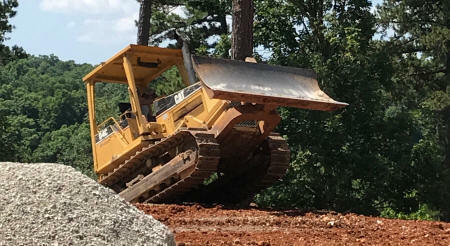 Some job site's are extremely rocky. We live here in the Ozarks too, so we are accustomed to what you have. Retaining Walls can be built to split the difference of a steep grade. The dig-in a little and build-up a little concept sometimes is the solution when trying to fit a building into the customer's backyard. Concrete Block Wall Foundations can be the answer if we are looking to keep the footprint small (that being just the size of the building). A concrete block wall foundation is also the solution when the incline is so steep a traditional red dirt pad won't work. 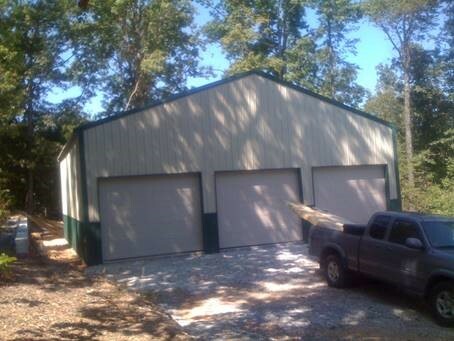 Gun / Safe Rooms can be built inside your Metal Building with a concrete roof. Our same block layer can build you a custom bullet proof room. 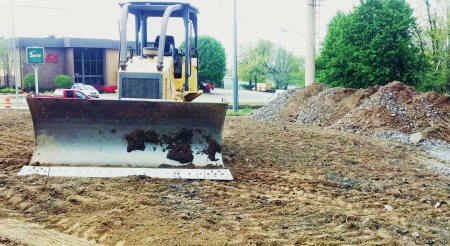 Driveways / Roads cut into your property to access the new building is available. 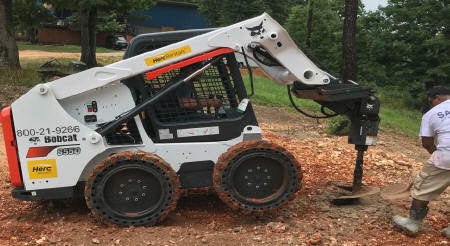 If you have bought unimproved property sometimes the first step is simply getting a driveway cut in so that you can build a home or building. We have done this many times and can do it again.